In this article, we propose a one-step strategy, utilizing calcium chloride and urea as co-activation, to synthesize 3D-interconnected porous carbon (3D-IPC) from ephedra herb. The 3D-IPC-based electrode displays excellent electrochemical performance for supercapacitors, such as a high specific capacitance of 240 F g−1 at 0.5 A g−1 and good rate capability. Especially, the symmetric supercapacitor assembled based on the 3D-IPC electrode material presents considerable energy density of 12.6 W h kg−1 at a power density 225 W kg−1, and 6.0 W h kg−1 at 9000 W kg−1 in 0.5 M Li2SO4 electrolyte. 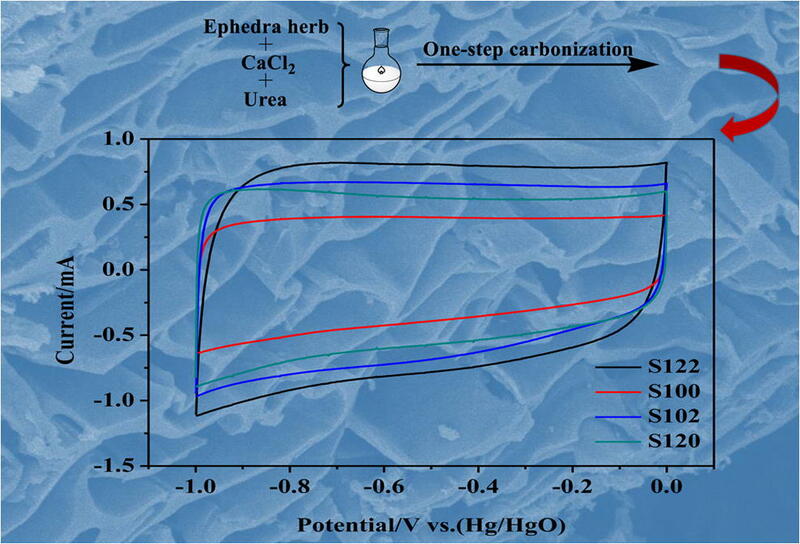 On the one hand, the urea was utilized as both activating agent for microporous pore formation in pyrolysis and nitrogen source to nitrogen doped into the 3D-IPC framework, as well as ideal synchronous carbonization and graphitization. On the other hand, ephedra herb collected from the Gobi Desert is reused as a high-value carbon material. Jingjiang Liu and Ruixue Kang contributed equally to this work. 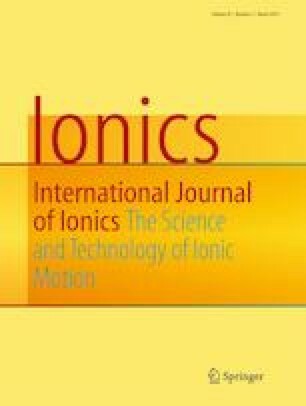 The online version of this article ( https://doi.org/10.1007/s11581-019-02962-1) contains supplementary material, which is available to authorized users. We thank Professor Erxin Ren for measurements. There authors declare that they have no conflicts of interest.